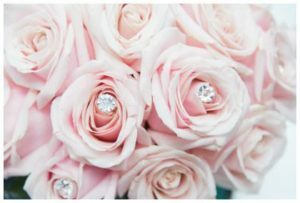 Wedding Flowers can add perfume and color to your big day. 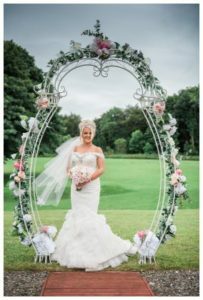 Choosing beautiful flowers is an essential part of every wedding plan. 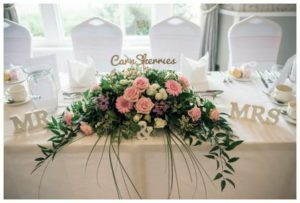 From bouquets to button holes and flower arches to table centrepieces there is a vast array of colours and floral choices. 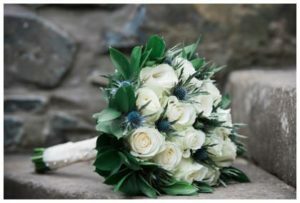 The star of the show is the bridal bouquet which adds beauty and a splash of colour to complement the bride as she walks down the aisle. 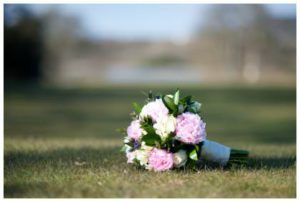 The tradition of carrying a bouquet isn’t a modern invention and is much older than you may think. The trend dates back to the 16th century. But although brides were carrying bouquets down the aisle even back then, it wasn’t for the reason you’d expect. Fragrance: In times past, regular bathing and laundry were indulgences reserved for the rich, and was difficult for many commoners. 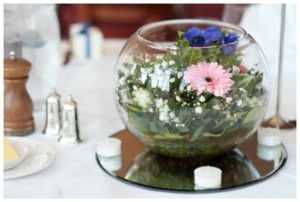 Flowers and scented herbs served as more than just decor for brides and grooms. A clutch of garlic stems, or roses and fresh rosemary, could mask any personal pungency with evocative scents from the garden and the kitchen. 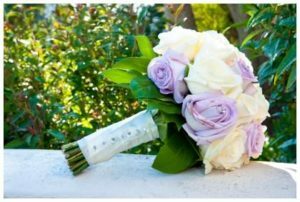 Warding off evil spirits: It is also thought that because that because the original wedding bouquets were made up of herbs and spices. It was believed that the clutches of garlic and other aromatic herbs would ward off evil spirits and to help to keep the bride safe from demons that might try to steal her before she was married. The spices and edible flowers were then cooked and used it a season the food at the wedding breakfast. 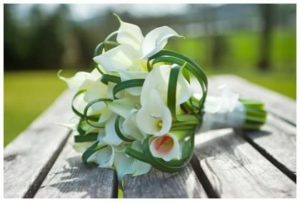 Because the bride was now a woman, it was believed that eating her bouquet would help her and the other married ladies conceive. Fertility: By the time Queen Victoria and Prince Albert married, flowers had been added to bouquets replacing many of the spices and herbs. 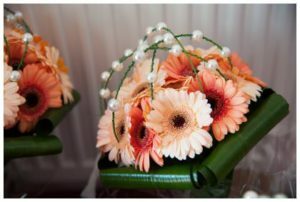 People believed that a full bouquet symbolised that the bride was “in bloom” and was ready to have children. 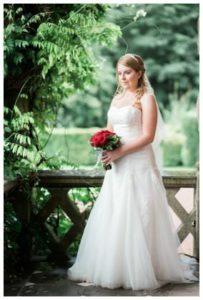 Tossing the bouquet: Hundreds of years ago it was considered very lucky to touch the brides wedding dress or to obtain a piece of her bridal attire. In fact so great was the luck that would be bestowed on the guest that in some cases they would chase the bride and tear pieces of her wedding dress to keep as a souviner. Tossing the bouquet became a shrewd tactic for wise brides as it distracted the guests from giving chase as they all ran to grab the bouquet. 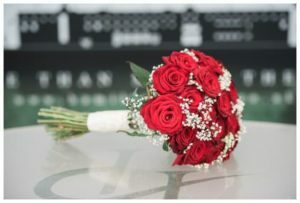 Today’s brides choose their bouquets based on their own personal choices rather than any hidden meaning, although that isn’t to say that flowers don’t still have special meanings. 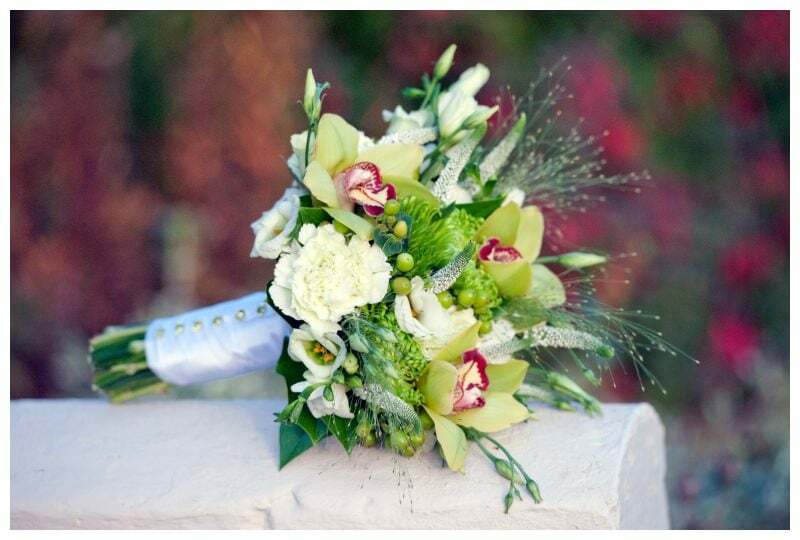 Did you know that marigolds mean jealousy and grief, while stephanotis mean happiness in marriage? 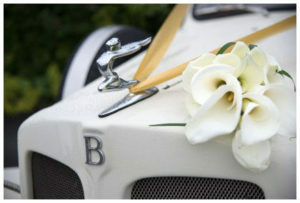 The most popular flower for a bouquet are roses (love and passion), tulips, lillys (purity and sweetness) and hydrangeas. 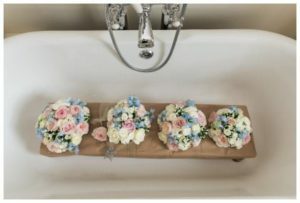 You are also likely to see brides carrying bouquets of artificial or silk flowers which are perfect if you suffer from hayfever, it also means that you can purchase them far in advance and ticks somethign else off the list. 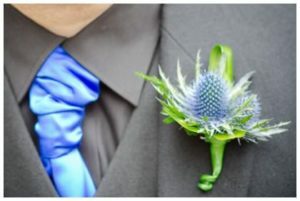 Silk flowers also make the perfect keepsake. 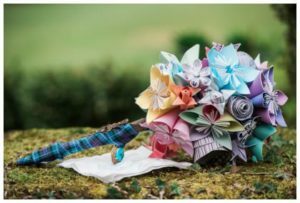 More recently I have also seen bridal bouquets made out of paper.